So... You want to chase a tropical cyclone? In the end, this was a horrific storm! Near the very top at peak intensity. 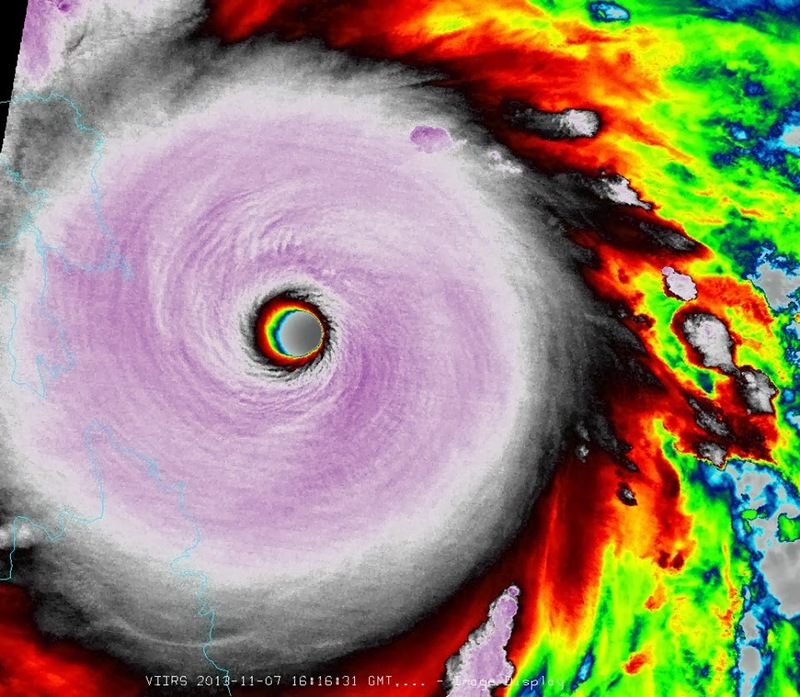 HOWEVER, statements like "Haiyan was the most intense storm ever" = unknown and is likely overdone. Keep in mind everything was based off satellite estimates NOT actual readings. There was no recon (which stopped in the Western Pacific for the most part in 1987), there was no real observations, ONLY satellite estimates. Unfortunately, you don't hear that fact much while watching most media outlets. No mater what anyone tells you, fear is a good thing. It is your body preparing yourself both spiritually and mentally for the worst. The key is not to let fear become panic. The moment when you let fear defeat you is the moment you start to panic. If you can establish what causes your fears, it can be a powerful ally. Typically, fear is just not limited to a specific event, it runs deep within you and is fueled by many life experiences. Heard the saying you have to love yourself before you love others? The same can be said about fear. First you have to get a grasp of the fears within your own life, embrace them, accept them, and then you can tackle the fear of any event. The fears built up over a lifetime exceed any singular event. So why bring this up? My love in life is hurricanes. I feel more peace in the eye of a hurricane than anywhere else on this Earth. Crazy, probably, but it is me. 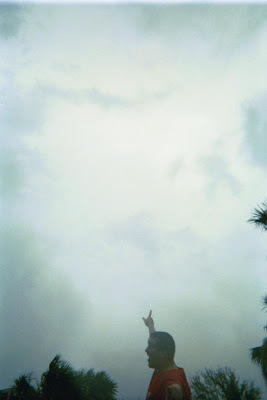 I live to chase hurricanes and this passion has been deep inside me ever since I was a child. I have given a lot for this love, including walking away from other loves in my life that was not easy. So why give up so much for something that does not happen that often? In a weird way I think that is what gives it appeal. It is rare and every time I am blessed to experience this incredible feeling, I never forget it. It stays with me wherever I go, and it becomes a part of me. It is me. Ultimately, my goal in life is to chase a category-5 in a place like the Florida Keys. Not just chase it, but take the full wrath of it, hopefully getting into the eye. I am a student of weather history as I constantly try to study hurricanes every chance I get. I want to understand what they are capable of, what they have done, so hopefully I am prepared. You can never be fully prepared, but I want to be prepared enough to control my fear. It is a constant learning process and I feel like it has not happened yet because I am still searching for answers not only to my own fears in life, but to the fears associated with chasing the elusive category-5. Every time I chase, every time I forecast, every time I teach, every time I scout the Florida Keys or interview a hurricane survivor, read a historical book, talk to my fellow peers, I am coming closer and closer to completing this process. Think of it like training for the Olympics. It can take a lifetime of preparation for one single day. And when that day comes, you get one chance. I want to know I did everything I could to maximize that chance. I think everyone has a fear of failure deep inside, but for myself I tackle this fear everyday knowing I put my heart and soul into what I love. I always search to do more, I always want to be better, I always know I’ll never achieve perfection, but I do know I am always trying my best. That is something I can live with. Know this… Every time a major hurricane is approaching the US, I will be somewhere facing my fears head on. Fears of both life and this obsession called hurricane chasing. Do not be fooled, a tingling sensation of fear will surge through my body, only understood by the very few that have been there before. Millions of thoughts will race through my head, but I refuse to let this fear become panic. Why should I let fear defeat me? In the end if I did die, it is my true love in life, which I know is worth dying for. So I leave you with this advice and words of wisdom. I do not have every answer, no one does, but I promise your fear is a good thing as long as you do not let it become panic. Try to get a grasp of the fears you struggle with everyday to help yourself use it in a positive manner with whatever your love is. Again, fear is preparing your mind for the worst. The more you understand yourself and how fear affects you, the better you will be at controlling panic. I will chase a category-5 hurricane someday. I will have fear. I will understand where these fears come from. And I will not panic! 78 years ago today, the strongest hurricane in recorded US history struck the Florida Keys. 185 mph sustained winds (gusts well over 200 mph), 15-20 foot storm surge, a 80mb pressure gradient over ~20 miles, obliterated Craig/Long/Lower-Upper Matecumbe Keys. Every time I'm in the Keys, I can't stop thinking about this storm, typically stopping at the monument and where the train derailed. The more I study this hurricane, the harder it is to comprehend the true power behind it. 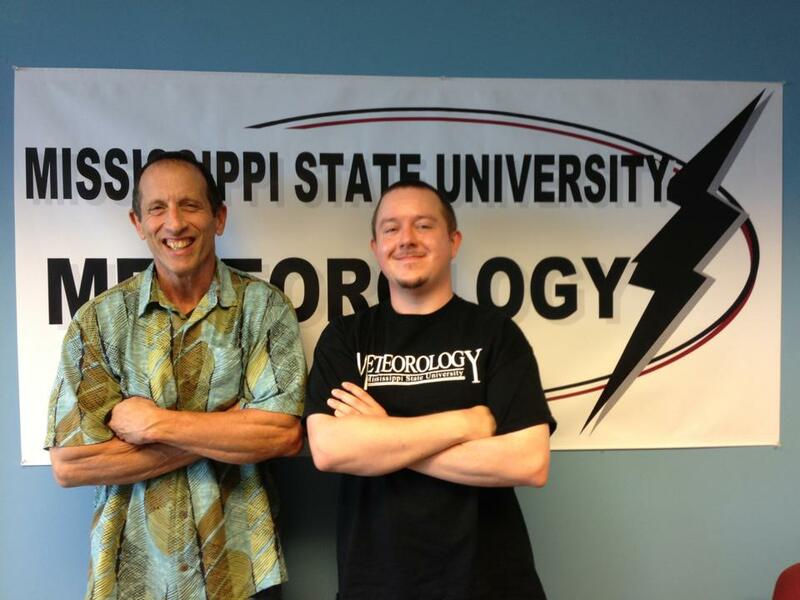 Being able to interview three survivors of this historic storm were some of the best days of my life so far. Truly an honor! 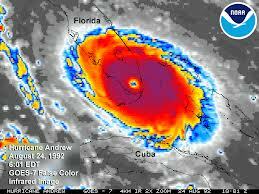 Hurricane Andrew made landfall just south of Miami, near Homestead AFB, FL, at 5:05am EDT on August 24th, 1992. At the time Andrew was thought to be a strong category-4 hurricane with maximum sustained winds of 145 mph (1-min average). 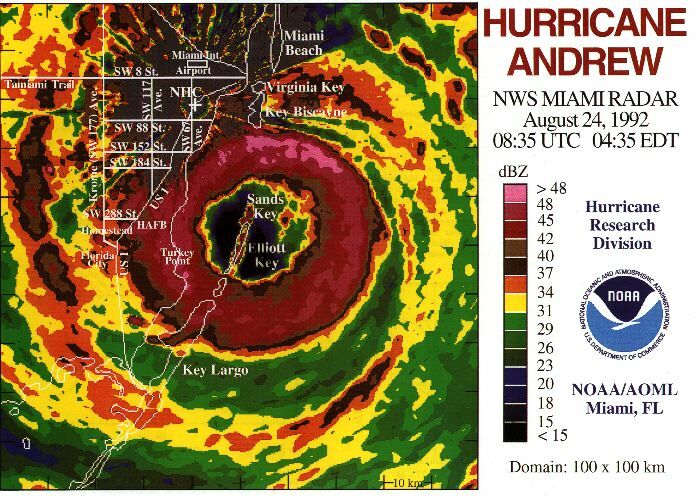 A decade later a reanalysis project by the HRD concluded that Andrew was a category-5 hurricane, with maximum sustained winds at 165mph. Personally, after doing extensive research over the years, I believe Andrew was the second strongest hurricane in recorded history to ever strike the US only behind the 1935 “Labor Day” Hurricane. Remember, it is called the Saffir-Simpson Hurricane Wind Scale, not the Saffir-Simpson Hurricane Pressure/Storm Surge Scale. 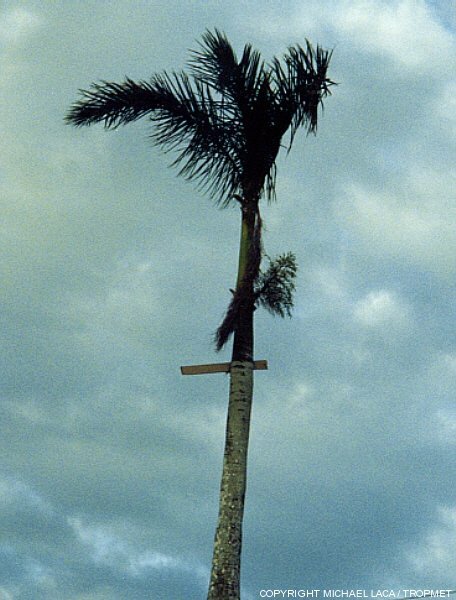 Above is the last full sweep of the Miami WSR-57 radar (4:35 a.m. EDT) before the radome, on the roof of the National Hurricane Center, was destroyed. A peak gust of 164 mph was recorded at the NHC before the anemometer was destroyed. Keep in mind the northern rim of the eyewall was actually a few miles south of the NHC's location (Coral Gables). The highest reported wind gust came from a house in Perrine, FL. Initially reported at 212 mph, this measurement was reduced to 177 mph after a wind-tunnel testing at Clemson University of the same type of anemometer revealed a 16.5% error. 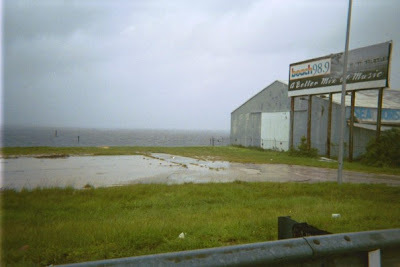 Officially, the highest recorded storm surge was observed at 16.9 feet on 184th street (Eureka Dr), which was the former location of the Burger King International Headquarters. Needless to say the damage was incredible! 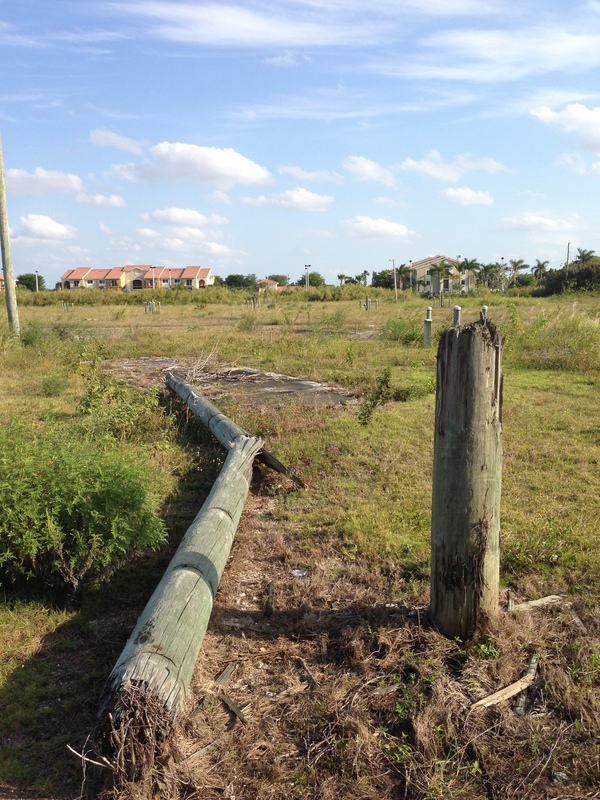 To this day you can still see "scars" from Andrew in Naranja Lakes. 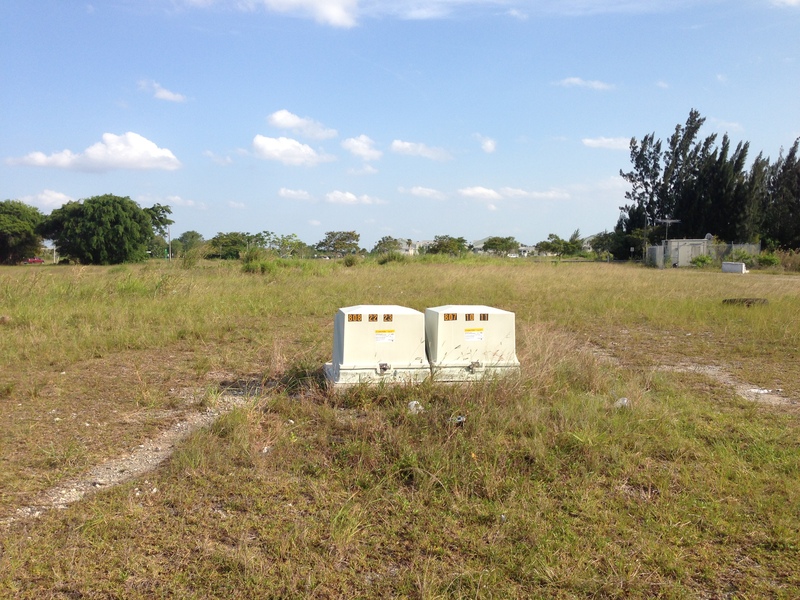 Subdivisions vacant, slabs of concrete, snapped telephone poles, with only overgrown land and scattered air conditioner units left. A very eerie sight! 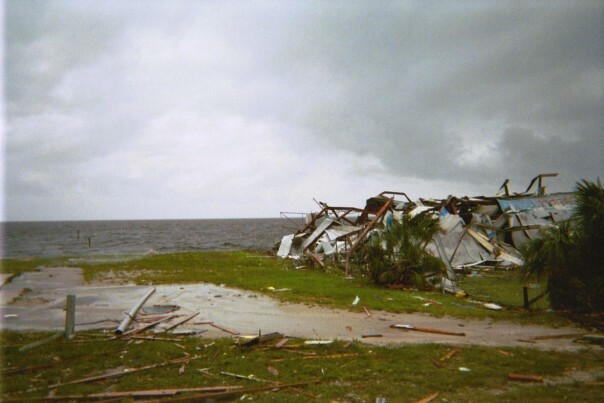 Unlike most hurricanes (storm surge is by far the biggest killer), the majority of Hurricane Andrew's deaths were caused by winds. Half of the deaths directly attributed to the storm occurred in the collapse of frame homes or apartment buildings. Similar to EF-4 tornado damage in many ways. 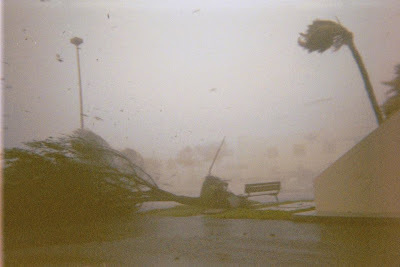 The winds that affected Homestead, Florida City, Leisure City, and Naranja Lakes were at a level few on this earth have ever experienced during a hurricane. Only the handful of survivors left (had the honor of interviewing three of them) from the 1935 "Labor Day" Hurricane have experienced worst in recorded US history. In the end, as amazing as this sounds, Miami got LUCKY! If Andrew made landfall just 20 miles north, the damage would have been catastrophic for the city. 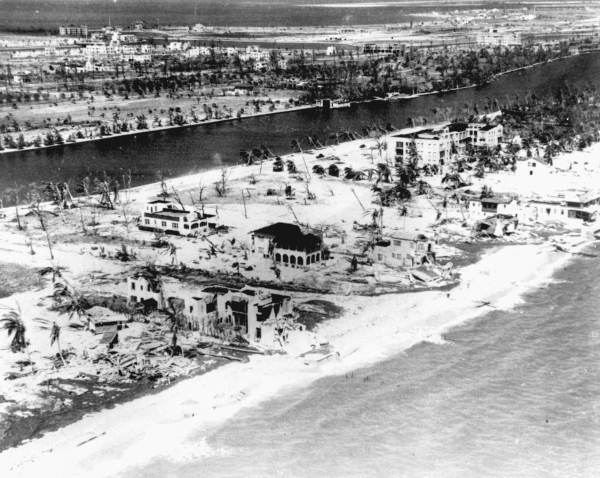 History can be a great predictor of the future, and if you want to study what can happen to the City of Miami during a devastating hurricane, read up on the Great Miami Hurricane of 1926. Pretty much a direct hit from a strong category-4 hurricane. Miami, Miami Beach, Coconut Grove, and Coral Gables were destroyed for the most part. Now take into account the huge population boom just since 1992, the sheer amount of infrastructure/businesses built since 1992, and a 1926 type storm today would be beyond tragic. I would easily guess you would be looking at ~ 250-500 billion in damage with a death toll I don't even want to think about. 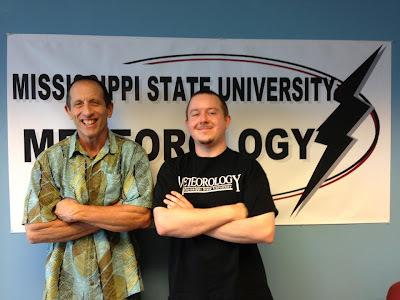 "Enjoy the weather, it is the only weather you got"
Rarely I get excited to meet someone... Today was one of those days, as it was an honor to meet and talk weather with Joe, Garrett, and the rest of the Bastardi family. Wilbur Jones is an amazing man! Truly an inspiration! 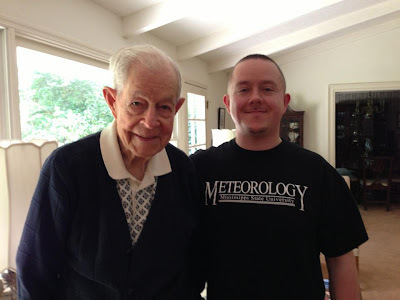 Of course his experiences with the 1935 Labor Day Hurricane were beyond epic (185mph + winds, 15 foot surge, surviving in a box car with a two foot air bubble on top), but his 101 years on this earth are so much bigger than this historic storm. He was friends with Arnold Palmer, knew Robert Trent Jones (Bobby Jones), flew in bombers over Europe during WWII, survived the Great Miami 1926 Hurricane in Coral Gables, and so much more... What a great day!